Learn how you can work with children in one of the best franchise opportunities. You can work with children every day and have a business of your own. You can also have the kind of lifestyle that works for families with young children, and you do not need prior business experience, just a passion for children and helping parents. If you love children and want to be your own boss, you will love Pigtails & Crewcuts. With our experienced franchise leadership team, we will help you build a business that fits your family-oriented lifestyle. We run our business based on family values, integrity and trust. Our goal is to be the most recognized and memorable brand in children’s hair care services. Today, there is high demand for services like ours that cater to families and children. We provide children’s haircuts, retail products, and parties. Our services make the lives of families in communities near our salons easier and less stressful. Since work-life balance is a core value for us and our franchisees, we provide a safe place for parents and children to come and feel welcome. We also strive to be active partners in each community where our salons are located. We encourage philanthropy at the local and national level and love seeing our franchisees choose a passion they feel strongly about, getting involved, and making a difference. With a management team that has over 75 years of combined franchising experience, we have a proven business model. Franchisees receive ongoing support and training covering all aspects of running the business, plus the benefit of our group of franchise owners who regularly share ideas, insights, and tips with each other. While there are other children’s salons, no one else has the same combination of services, experience, and family-friendly atmosphere that we offer at Pigtails & Crewcuts. Our experience and support are what make us special. People who want to work with children in the best franchise business opportunity must consider Pigtails & Crewcuts. If you want to be part of a franchise that is supportive, honest and caring, contact us today to find out more about our family-friendly franchise opportunity. Starting a franchise business offers you the opportunity to go into business with national companies. But, the best franchise opportunity allows you to have a positive impact in your local community. You may know that a franchise company provides branding, products and services, training, and collaboration. But when you open a franchise location in your local area, you impact your community in a way that the corporate parent does not. One way is by hiring local employees. Having more than one location allows you to provide even more needed jobs, but adding jobs is not the only way that you make an impact. When you take advantage of a franchise opportunity, you work with other residents such as architects, contractors, construction workers, suppliers, attorneys, and accountants. And don’t forget your customers, who will be from the area. All of these groups benefit when a new franchise opens. When you open a franchise in your area, your business can be involved in community-related events and causes. Many corporate franchise companies sponsor various charitable causes, including at the local level. Local franchisees also offer support and resources to their communities during times of need, such as after natural disasters. Of course, paying business taxes supports your local government. As you can see, the best franchise opportunity will have a positive cascading impact in your local area. Our franchise opportunity goes even beyond all of this. We provide a safe place for parents and children to get needed services in a welcoming environment. We purposefully connect with parents and children through our brand and our services. Because we strive to be active partners in each community where we have locations, franchisee and customer satisfaction and loyalty are very high. Our management team has over 75 years of combined successful experience. We offer a proven business model that provides franchisees on-going support and training that covers all aspects of running the business. The best franchise opportunity allows you to have multiple impacts on your local community. If you want to be part of a franchise that values community, contact us today to find out more about the best franchise opportunity. Live your ideal life as a franchise owner! We all want to be happy and successful but how we achieve those goals is different for everyone. Being a franchise owner may offer you the chance to experience your ideal life. Whatever your reasons for wanting to have your own franchise business, you only need to be realistic, patient and hard-working to realize the life you want. If you are willing to take a risk on yourself but not by yourself, then being a franchise owner might be right for you. Find a company that you believe in because you must have faith in the business to be successful. Prepare with proper due diligence and fact gathering to be sure that you invest in a legitimate business. Love your new life as a franchise owner. Contact our franchise experts today to learn more. Have you ever thought about buying a franchise business? Franchises are so successful and pervasive today, that most people have thought about it at some point. However, if you are seriously thinking about it, then you must perform extensive due diligence. 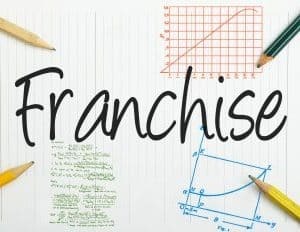 Franchise companies are very different in what they offer and how they support the franchisees, so you must know the details. Legitimate franchise businesses will have proven business systems, comprehensive training, and capable and experienced leadership. A supportive franchisee community and the right fit of company culture are also important. A franchise business is a long-term commitment, so you need to know who the people are, what they represent and if you can work together successfully. How does the company handle disagreements with franchisees? What is the litigation history? Many lawsuits are not a good sign. What do top franchisees do to be more successful than others? How do customers feel about the business? Does the company have in-demand products and services? Is the franchise in a stable or growing industry? Does the company continually invest on behalf of the franchisees? How will they manage challenging economic situations? All companies have different requirements for initial investment, required net worth, and profit potential and returns. Be sure to understand ALL financial commitments before you commit to anything. The Federal Trade Commission (FTC) has created “Buying a Franchise – A Consumer Guide” that is a good resource. From a more personal point of view, find a business that you would love to be part of. Ask what level of business experience or skills you need. Understand the business model to be sure it is one that you can support. If you are going to be successful, you must believe in the vision of the franchise. You should have the confidence that you will have a trusting and supportive relationship. Look for a franchise business that fits your goals and offers the support you need. 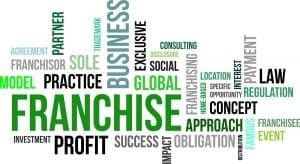 Contact us today to learn more about franchise businesses. Franchise business opportunities are everywhere, so how do you find the right one? 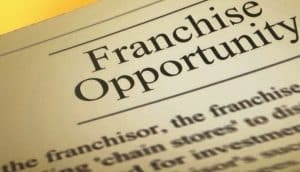 Driving around your city today, you see franchise business opportunities everywhere in a variety of industries. According to the International Franchise Association (IFA), there are 780,000 franchise establishments in over 300 different business categories. Given this level of activity, how can you possibly find the right franchise for you? Think about what you are interested in and what your budget is. If you have a passion for a particular area or type of service, then this is a wonderful place to start looking. You want to enjoy your business, so find something you like. Then, determine how much you are willing to invest in both time and money. You need to have this clearly defined so that you are not steered into a business that does not fit your expectations. Interview people from the franchisor company, current and prior franchise owners, and customers. Speaking with people in and around the business will give you insights that no market report can. Spend time on the IFA website learning everything you can. This site has a lot of resources. Also, visit the Small Business Administration and the Better Business Bureau websites. These organizations have valuable information that can help you make a good decision. Run everything by your lawyer and your accountant before you commit. Look for a legitimate, solid and supportive company in a growing industry that has products or services that are in demand. We can help you find the right franchise business opportunity, so contact our franchise experts today. Are you an investor who wants to make money in the best franchise opportunity? If you want to make money as an investor, one of the best options is to invest in a franchise that provides services for children. Children’s services are growing and have high and ongoing demand. Below are a few factors that an investor might look at to determine if a specific franchise is worth the investment. If you are an investor looking to build a successful business quickly, you must consider Pigtails & Crewcuts. Our goal is to be the most recognized brand in children’s hair care services. We provide children’s haircuts, retail products, and parties in local communities, which are all services that parents need and want. Children’s franchises is a large and growing industry that is stable and profitable but remains somewhat fragmented. We have a strong brand with a national presence and much room to grow. Our management team has over 75 years of combined successful experience. We have a proven business model with ongoing support and training that covers all aspects of running the business. Our franchisees know they will succeed. Franchisee and customer satisfaction is very high, and our franchisees and customers are loyal. Our franchisees love the flexibility that they have to include their family in their work while also maintaining a healthy work-life balance. Investors are encouraged to develop multiple locations and benefit from cost savings and choice territories. While revenue growth comes from the different streams, pricing flexibility allows for competitive response in the local markets. If you have prior franchise or business experience and funds to invest, you can join our growing organization and build a large business that offers quality services to children and parents alike. 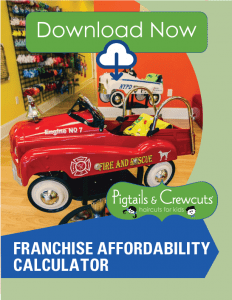 Investors who want the best franchise business opportunity must consider Pigtails & Crewcuts. Smart investors know that the best franchise opportunities offer in-demand products or services in growing industries. If you are ready to build a significant business, contact us today to find out more about franchising for investors.